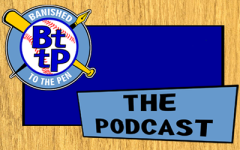 The Wild Card episode: Staff writers Matt Jackson (Toronto-based Royals fan) and Andrew Patrick (video game-testing A’s fan) join Ryan Sullivan to talk about their teams’ playoffs and off-seasons, Max Scherzer, and James Shields. Great episode! Listened to it while I shoveled out from snowmageddon. Baseball talk made it much more doable! Nice to hear some long takes on the A’s and Royals.